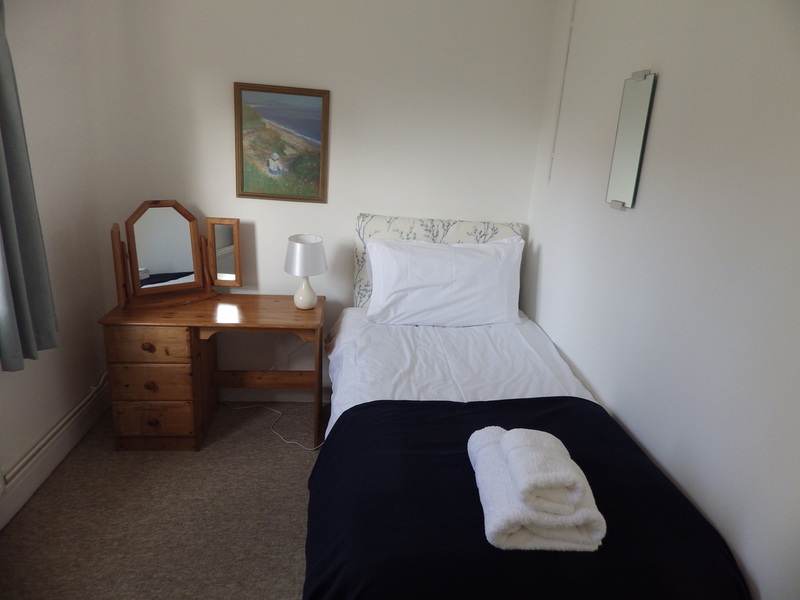 Beaver cottage has three bedrooms; a large double (4.18m x 3.33) , a twin (3.34m x 2.30) and a single (3.34m x 2.30). 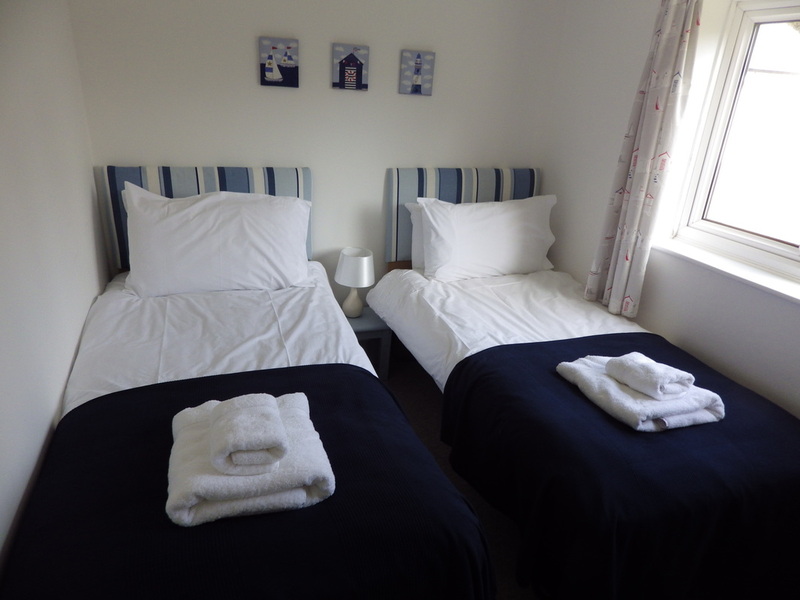 There is an additional folding bed which can be placed either in the single room or the double room. 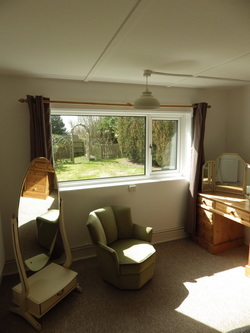 Double Bedroom looking into garden.